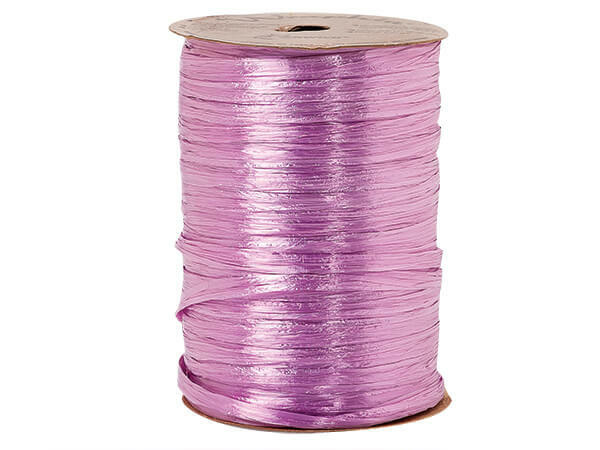 Pearlized Orchid synthetic Raffia on 100 yard spool. 1/4" strand expands over 1-1/4". Raffia Ribbon or Wraphia ribbon is synthetic raffia and available in 100 and 500 yard rolls. Raffia without the mess! It's so simple to use and looks great on any package. Made from versatile rayon for elegant gift packaging. Made in China.